What’s the best way to score free wings AND help ensure everyone in the community gets to enjoy a Thanksgiving meal? 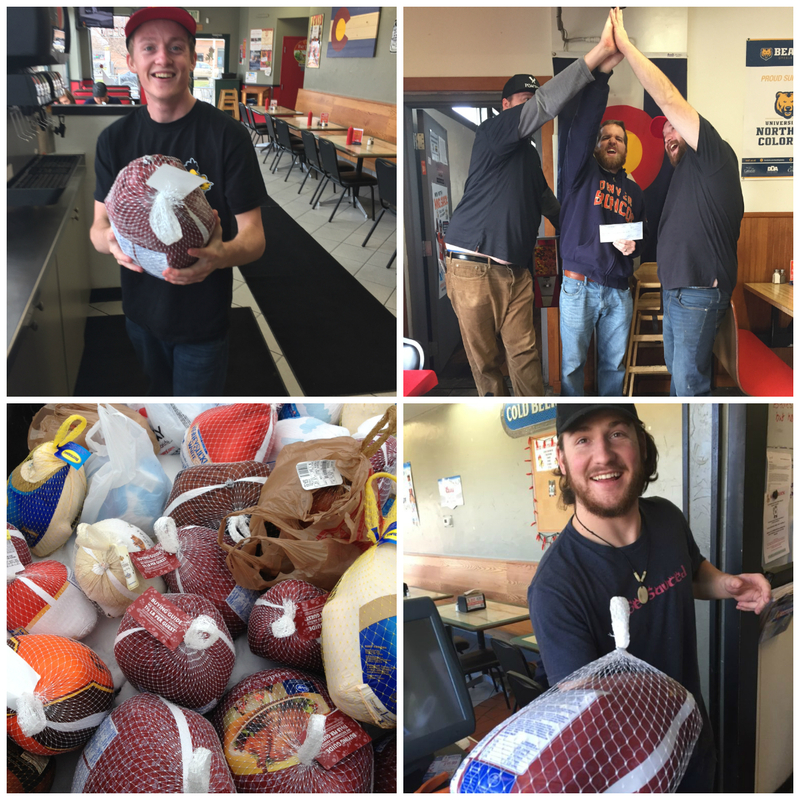 Bring a frozen turkey donation to the Wing Shack! Once again, we are teaming up with The Food Bank for Larimer County, Weld County Food Bank, and Needs Inc (in Cheyenne) to act as a drop off point for anyone interested in donating a turkey for the holiday season. Thanksgiving is one of our favorite holidays – what’s better than spending an entire day eating?! And we want to make sure everyone in our community can gather round and share a Thanksgiving meal together. So we have cleaned out freezer space in hopes of helping our local food banks meet the needs of our communities. We are offering 5 FREE WINGS to anyone that drops off a turkey donation at a Wing Shack location. But that’s not all – if you bring in the turkey, we will help with the sides that make Thanksgiving so great. For every turkey donated at one of our locations, we will donate $5.00 help fight hunger in our community. All donations must be received by close of business on November 20th, 2018 so we can get all turkey’s to the food bank before Thanksgiving. Free wings will be provided in the form of a voucher that can be redeemed at any time until December 15th, 2018.